Fairmount Ventures is an organization dedicated to helping nonprofit, philanthropic, and public agencies grow. 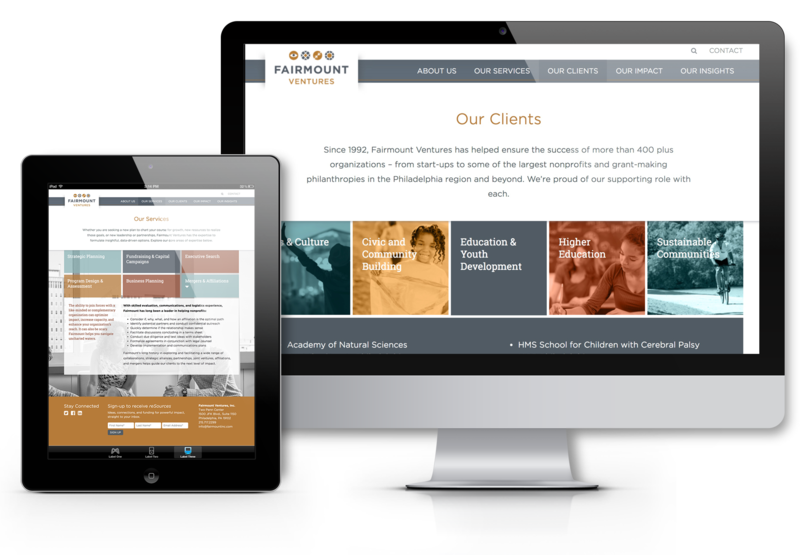 Fairmount Ventures felt that their old website site was outdated and was no longer working for them. After staff interviews, discovery meetings and strategic conversations, we worked together to create not only a new and attractive website but a refreshed brand identity —resulting in a new logo and graphic system that gives Fairmount Ventures the tools to move forward. 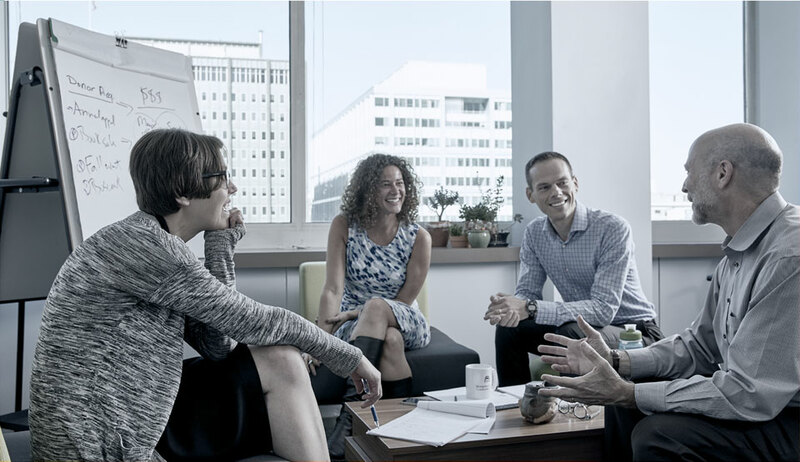 To give an approachable feel to their brand, Fairmount Ventures website incorporates large photos and bright hits of color to guide the user through the Fairmount Venture story and services. 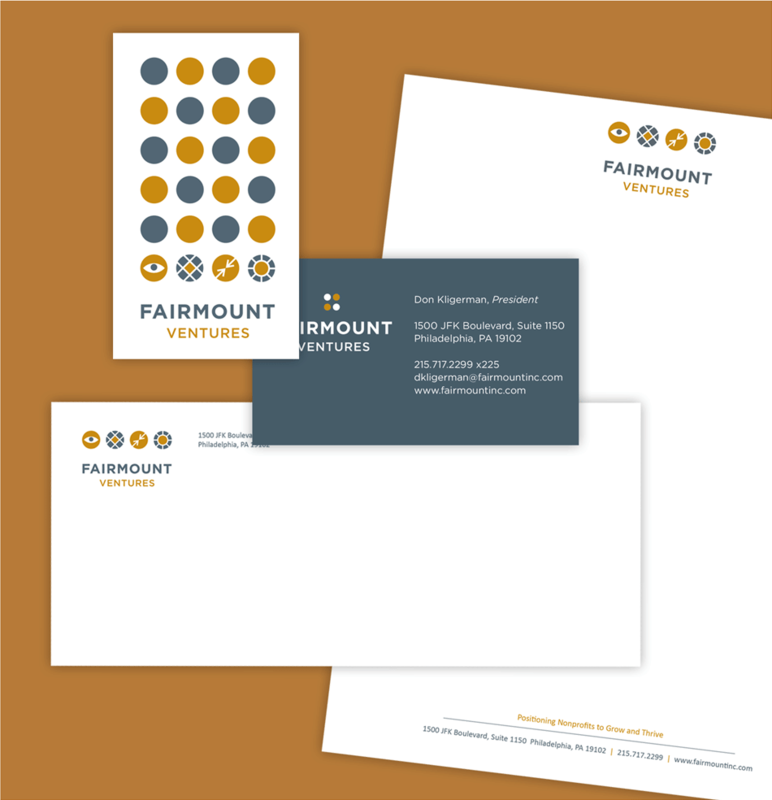 Fairmount Venture's logo incorporates symbols to represent four key stages for enabling growth: envision, plan, connect, and realize. These dovetail with the services that Fairmount offers its clients. "Thank you for all of your incredible hard work and patience during this process! The site looks amazing; we are getting great feedback from staff and externally. It will serve us very well. Many, many thanks."